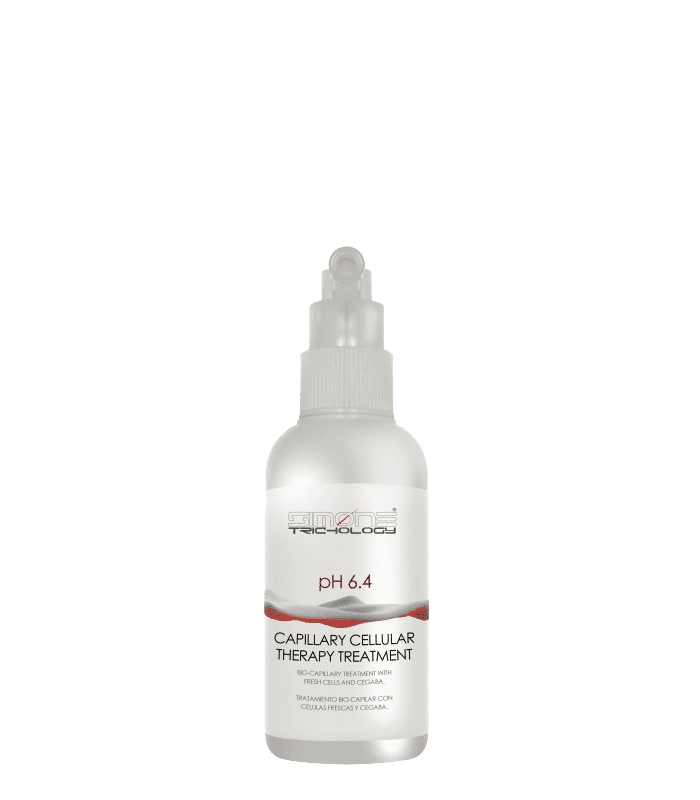 SIMONE TRICHOLOGY CAPILLARY CELLULAR THERAPY TREATMENT 100ml is indicated in hair loss and alopecias whose origin is the degeneration and cellular malformation in the papilla and hair matrix, such as androgenic alopecia. SIMONE TRICHOLOGY CAPILLARY CELLULAR THERAPY TREATMENT 100ml is a treatment of last generation includes an aminopeptidic complex in its formulation proceeding from embryonic tissues prepared by enzymatic technicals, this makes of SIMONE TRICHOLOGY CAPILLARY CELLULAR THERAPY TREATMENT 100ml the most advanced trichological treatment regarding a capillary prevention and regeneration refers. Apply SIMONE TRICHOLOGY CAPILLARY CELLULAR THERAPY TREATMENT 100ml every days after wash the hair with PREVENTION HAIR LOSS SHAMPOO and HAIR´S NUTRIENT ROYAL JELLY SHAMPOO during 90 days.